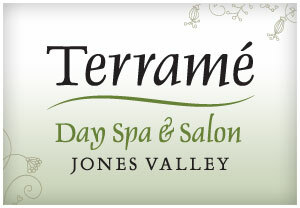 From cuts to color – and everything in between, Terramé,s full-service salons at Jones Valley and Midtown feature hair care professionals with one goal in mind: bringing out the best in your natural features and helping you feel good about yourself! Whether you need a trim, a touch-up, or a total makeover, our designers will help find the “right look” for you, teach you how to keep your style going at home, and outfit you with the right products to keep your hair healthy. Each guest receives complimentary bang trims in between haircut appointments. Includes shampoo, cut & style. Call 256-384-7228 to schedule your appointment today. Headed out for a night on the town with friends? Meeting that special someone for dinner and drinks? Not quite ready for a full salon cut and color, but want to look your best after a long week at work, volunteering or juggling the kids? and made it available in an alternative fashion for those busy times when all you need is a quick wash and style. The hair is pulled up off the neck and shoulders into a specific style. Half the hair is pulled up, while the other remains loose. The most familiar massage modality, the pressure used is light to medium touch with a combination of long sweeping massage strokes and gentle kneading. Best known for increasing circulation, relieving muscle pain and tension, and reducing stress. A therapeutic massage utilizing firm to deep strokes that address specific muscular and joint needs for the maximum in muscular tension relief. 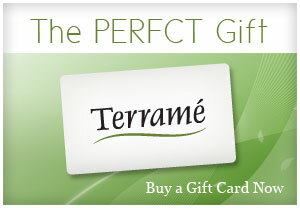 Perfect for the athlete or experienced spa patron. Sports massage is an ideal therapy used to enhance range of motion and muscle relaxation through a combination of firm massage and stretching techniques. Perfect for athletes before an event or during recovery to promote flexibility and reduce fatigue. A hybrid massage combines the best of the Swedish and Deep Tissue massage. After the flowing strokes of the Swedish Massage relax and warm your muscles, the therapist then employs the Deep Tissue techniques in the areas needing additional therapy. Smooth, palm-sized basalt rocks are heated and lubricated then glided over the body in conjunction with traditional massage techniques. The warmth of the stones helps relieve tight muscles, then induces deep relaxation without over heating. Incorporates all of our massage techniques into one. Experience our Swedish, Deep Tissue, Hot Stone, Aromatherapy, Reflexology and a pressure point scalp massage for an amazing ninety minutes that provide pure relaxation and rejuvenation. Relax and enjoy this side by side custom massage for two. A great way to spend some time with someone you care about. Enjoy the therapeutic benefits of our state of the art 256 jet hydrotherapy tub treatment before you indulge in your sixty minute combination massage. For our busy guests who have less than an hour, but want to experience a massage, this is the treatment for you. You decide where the therapist should focus and the pressure that is perfect for you. Pregnancy is one of the most significant times of a woman’s life. This treatment enhances and comforts a woman, helping to make her feel even more special. During the massage, we provide the Prego Pillow, which offers an innovative breakthrough in comfort for pregnant women. It will allow you to safely lay on your stomach with newfound relief. Experience the power of water and its ability to transform the human spirit. Our hydrotherapy tub is the most advanced tub in the industry today. With 256 water jets and individual computer controlled programs, you will literally feel your stress float away. This is a must for you to experience. This mud is an organic, bioactive peat from the bogs of Austria. Literally pure enough to drink, Moor Mud is added to your bubbling hydrotherapy bath and assists in refining pores, detoxifying the lymph system and nourishing the skin. Coconut Milk will nourish and re-hydrate dry skin leaving it supple, smooth and revitalized, all while the heavenly scent of lavender promotes total relaxation. Relax and inhale as essential oils like eucalyptus and peppermint relieve muscle aches and inflammation while also easing congestion and fatigue. Hydrotherapy is an ancient Roman medical and therapeutic technique refined in Europe in the late 1800’s. literally “water therapy,” the benefits of hydrotherapy are countless and include detoxification, improved circulation, pore refinement and increased vitality. Our hydrotherapy tub has 256 jets and customizable computer controlled programs to send jetted water strategically to specifically targeted areas of the body. Our technicians will customize your bath according to your body’s needs. No matter which Terrame hydrotherapy treatment you try, you will enjoy the therapeutic benefits that will increase your body’s metabolism and overall health. Our tub is FDA approved for automatic disinfection between uses, and all area are completely cleaned, sanitized, and redressed by the technician individually for each client. Experience the power of water and its ability to transform the human spirit. Our hydrotherapy tub is the most advanced tub in the industry today. With 256 water jets and individual computer controlled programs, and benefits such as detoxification, improved circulation and pore refinement, you will literally feel your stress float away. Customized for your skin type and condition, this treatment includes a thorough cleansing, exfoliation and hot towel steaming. You will receive a facial massage followed by a mask application specific to your skin’s needs. Your skin will feel refreshed and rejuvenated like never before. Acne is not just a teenage problem, as it can strike at any age on the face or body. This clinical facial provides an effective remedy for those experiencing excessive oiliness and initial symptoms of acne, including an uneven complexion and blackheads. Rosacea is an extremely common disease that is a chronic acne form disorder of the facial hair follicle and associated oil glands. Common symptoms of the condition include an increased reactivity of capillaries to heat, leading to flushing, and ultimately a localization of spidery, distended blood capillaries. The goal of your treatment will be to reduce the inflammation and kill the bacteria associated with the condition. Your skin will be calmer, brighter and more hydrated. If hydration is your concern, this facial will equip your skin with exactly what you need. Geared to intensely hydrate and brighten the skin, this facial is perfect for special occasions and post medical procedures. This Age Management Treatment is more than just a facial. By incorporating gentle alpha hydroxy acids with skin balancing ingredients, your esthetician will mix the relaxation of a facial with the benefits of the latest in skincare science. Stimulate collagen, elasticity and cellular turnover to achieve the ultimate in preventative and corrective care for your skin. This facial is specifically customized for your skin’s needs. This second-generation micro-current treatment re-educates your facial muscles to Lift, Tone and Firm your skin while stimulating tissue repair and aiding circulation. The ultimate workout for your skin to look rested and refreshed. Great pre-event treatment! Cutting edge technology that creates Nano pathways in the skin to allow for deeper absorption of products. 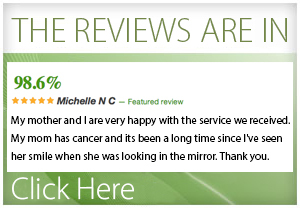 Specifically geared toward anyone experiencing issues with skin texture, pigmentation and scarring. Increases collagen production and hydration while dramatically smoothing skin texture. This treatment is FDA approved LED light therapy that utilizes red, blue and infrared light simultaneously to stimulate collagen production. This non-invasive treatment calms acne and Rosacea inflammation and improves fine lines and wrinkles. LED therapy is known for its ability to rejuvenate skin. The blue light penetrates the epidermis, red light penetrates the dermal layer and infrared penetrates the deepest to increase micro-circulation. If what you need is a light fix or a quick pick me-up, this 30 minute facial provides a boost of energy and is customized for your skin’s needs. Your skin will immediately feel renewed and refreshed. 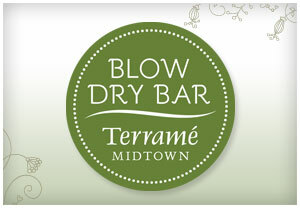 Terramé is pleased to offer the HydraFacial™ to Huntsville, Alabama. This facial treatment gives patients the results they’ve always wanted- skin that’s glowing and most importantly, skin that’s healthy. The HydraFacial™ is a soothing, moisturizing, non-invasive skincare treatment for anyone who is looking to improve and maintain the health of their skin. Proven effective for all skin types, this 30-minute treatment delivers instant results with no discomfort or downtime. The HydraFacial™ combines cleansing, exfoliation, extraction, and hydration all while delivering antioxidants, Hyaluronic Acid, peptides and other essential nutrients. The HydraFacial™ can have many skin benefits including enhanced skin tone and texture, reduced appearance of fine lines, wrinkles, hyperpigmentation, and improved appearance of oily or acne-prone skin. The HydraFacial™ resurfacing procedure thoroughly cares for your skin, providing cleansing, exfoliation, extraction, and hydration all while Vortex –Fusing™ antioxidants, peptides, and Hyaluronic acid. Ranked above IPL, the HydraFacial™ is a non-invasive, non-surgical procedure that delivers instant results with no discomfort or downtime. The procedure is soothing, moisturizing, non-irritating and immediately effective. The HydraFacial™ serums specifically target your skin issues including sun damage, blackheads and whiteheads, enlarged pores, acne, brown spots, uneven skin tone, and early aging fine lines and wrinkles. The best part – it’s not just a quick-fix-it procedure. The HydraFacial™ improves the quality of your skin, actually helping to making it healthy. The HydraFacial™ procedure is a two-step process: the in-office procedure augmented by the daily care treatment. Your HydraFacial™ results can be extended through the use of the daily care solutions – the same ingredients found in the serums are available for at-home use. The HydraFacial™ LED Light Therapy mode provides additional benefits post HydraFacial™ treatment. The red LED light is used to improve the appearance of skin firmness and resilience. It also helps reduce the appearance of fine lines and wrinkles, hyperpigmentation, and other signs of aging. The blue LED light is extremely beneficial for people who suffer from oily skin or breakouts. The HydraFacial™ has been a favorite pre-red carpet treatment for the stars and is even enjoyed by the Prince of Monaco! It has also been featured on Fox, NBC, ABC, CBS, The Doctors TV show, Allure Magazine, Essence Magazine, InStyle Wedding Magazine, and more. • We regret that we cannot perform waxing services on clients who are taking Accutane, Retin-A, or antibiotics due to the sensitivity these products cause to the skin. • Hair growth must be approximately 1/4” in length or 2-3 weeks of hair growth must be present to receive waxing services. •After waxing, please allow 24 hours before sun bathing or using a tanning bed. Newly waxed skin is more sensitive to the sun and will burn easily. • If you are planning for a special occasion we recommend that you schedule your waxing services 3 to 5 days before the event. This luxurious treatment combines various Exotic Nut Oils and fresh Fijian Can Sugar to exfoliate, cleanse and re-hydrate the skin with vitamins A,B,C & E. The Fijian Can Sugar is massaged into the skin with coconut milk, eliminating dull skin to reveal new healthy, vibrant skin. This treatment will strengthen and replenish moisture to create the ultimate healthy glow. Choose from Rejuvenating Noni, Brightening Guava or Hydrating Coconut Milk and Honey. The Manicure Make-Over is a relaxing, full service manicure. Nails are cleansed, filed, buffed, and shaped to your specifications. Then relax with a soothing moisturizing hand and arm massage before your hands are dipped in warm paraffin. Your nails are then polished with a color of your choice. Soak your feet in a warm whirlpool bath. Nails are then cleansed, filed, buffed and shaped, and calluses removed. A hydrating foot massage followed by a paraffin dip helps to relax your tired feet even more. Your nails are then polished with a color of your selection. Our make-up artists are great with providing you with the step by step instruction of application techniques that enhance your natural features as well as minimize any imperfections. You will leave Terramé with a personalized face chart so you can recreate your new look at home. Your instruction will include both evening and daytime looks. This consult is the next step in getting to know bare Minerals beyond the starter kit. Colors will be chosen for an everyday application including eyes, cheeks, lips and foundation. Our make-up artist will apply your make-up with instruction so you will feel comfortable applying your make-up at home. Want to look extra special for an important event? Our make-up artists will provide you with that enhanced look to make you look elegant and feel fabulous. Have our make-up artist transform your skin into polished perfection for your special event. 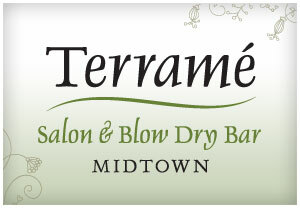 We are delighted that you have chosen Terramé for your airbrush tanning experience! Here are the guidelines that we have compiled to provide you with a long-lasting, glowing tan and we encourage you to follow them diligently to make the most out of your experience. Rule of thumb: 6 to 8. There should be no sweating for 6-8 hours and no showering for 6-8 hours after recieving your spray-tan. Both of these activities can affect the longevity of your tan. The longer you leave the initial tanning solution on, the better. After you have recieved your treatment, we recommend you avoid shaving for 12 hours. When you do shave, a new and fresh blade is best. -Keep in mind that when you take a shower or bath (after the recommended 6-8 hours), you will inevitably see some of the color wash off. It’s normal for the initial solution to rinse off- leaving behind a glowing, natural-looking tan. A: We like to accomodate you in a timely manner, so our certified staff has combined quality with efficiency to be able to complete the process in as little as 10 minutes from start to finish. A: The all-natural Norvell tanning solution is a fine-misted, water-based solution that is free from permanent dyes. While the service is designed to allow for plenty of drying time, be aware that the solution washes easily our of your garments if it does indeed come into contact with your clothing. Once your tan has had 6-8 hours to fully develop and the initial solution has rinsed off in your shower, you are left with a beautiful tan that will not rub off on clothing or other surfaces. Taking several factors into account, the main one being skin hydration, the average duration of your spray tan can be anywhere from 5-10 days. Moisturization is very important to extend the life of your tan.